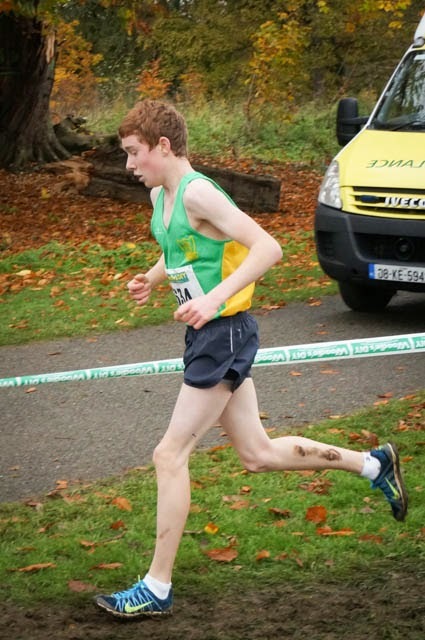 Philip Marron continues to show impressive form and he improved his 800m best by nearly 3 seconds when finishing a close second in a time of 2 min 02 .07 sec.. Philip's split time at 400m was 61 sec and he steadily moved through the field on the second lap to get up for second right on the line. He had the added bonus of running a new club u 17 and Junior record. Peter Kilgannon ran 54.49 sec for the 400m and looks to be rounding into nice form for the nationals at the end of the month. Peter was also at pains to point out that he has only loaned out the 800m club record to Philip.